26 Commercial Real Estate & Properties in North Lakes are listed in 5 categories. We have 61 OfficesLease , 17 Retail ShopsLease , 15 Industrial Warehouses Lease , 11 Medical and Consulting PropertiesLease and 11 ShowroomsLease . Drive Thru retail/food tenancy, Ex Viva Coffee Fit out, located along North Lakes service road with exposure to Bruce Highway. Join current tenants 7 Eleven and Thrifty Car Hire in this extremely high exposure location. 140m2 retail/food drive thru + alfresco dining Fronting Bruce Highway Service Road with exposure to 100,000 vehicles per day 2 window drive thru and 10 car queing Near new full fit out Pylon signage provision available Generous Landlord Incentives Prime North Lakes Town Centre location Call The Exclusive Commercial Guys today to book your inspection or for further information. Unless otherwise stated, the price/property may be subject to GST and/or outgoings. Ray White Commercial Northern Corridor Group is pleased to offer 8A/4 6 Burke Crescent North Lakes QLD for lease. Features: 335m2 Retail/Showroom Space Prominent Signage Ample On Site Car Parking Full Exposure to North South Arterial Air Conditioned Internal Amenities Easy Access from Endeavour Boulevard Join Other Tenants Such As 99 Bikes, The School Locker, Nutrition Warehouse, Companion Vet Care and more Located in the heart of the fourth fastest growing suburbs in the country For more information or to book an inspection please contact the agents Ashley Rees or Aaron Canavan. 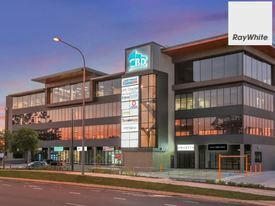 This 88 sqm tenancy at North Lakes Central offers your business the opportunity to be situated in the heart of North Lakes in a busy office complex surrounded by new residential developments, commercial offices and across the road from the Moreton Bay Council Library and Community Centre. Property features include: bull; 88 sqm ground floor tenancy bull; Grease trap bull; Exclusive front seating area bull; Shared alley way seating area bull; Signage opportunities bull; Ample customer parking bull; 2 Exclusive use staff car parks bull; Generous incentives available for right business to move in For further information or to arrange an onsite inspection, please contact agents Peter Laurent or Aaron Canavan from Ray White Commercial Northern Corridor Group. Stand Out Professional Complex  Office Or Retail Contact Agent today! 114m2 approx Suit office or retail user Ducted air conditioning Great frontage to busy Discovery Drive Onsite parking Kitchenette Abundant natural light Join professional tenants, cafés and restaurants in this landmark North Lakes location Located in the heart of the North Lakes business district, just off Anzac Avenue and with easy access to North and South bound on the M1 (Bruce Highway), this unit is well positioned in the thriving North Lakes community only 30 minutes to Brisbane CBD, airport Port of Brisbane. Call The Commercial Guys today to book your inspection or for further information. Unless otherwise stated, the price/property may be subject to GST and/or outgoings. Well Presented Retail Offering In Busy Shipping Centre Call Agent for Latest Pri..
Office Or Retail...ideal For Either Application $23,000pa inc. GST and Ou.. Established Cafe/ Restaurant Over Looking Lake $54,000 P.A + GST + Outgo..